James Brashear is a Professor of Art at the University of Alaska Fairbanks. His teaching career spans over twenty years spent at the University of Alaska, Syracuse University, and Clarion University of Pennsylvania. James received his Masters of Fine Arts at Louisiana State University. Currently he resides in Fairbanks with his wife and two children. As an artist his inspiration is nature, clay is his medium, and he uses the ceramic vessel as his form for expression. He explores the process and rhythm in the construction and development of ceramic form and surface. He chooses the vessel because it is timeless and universal. His most recent work has been experimenting with forms and surfaces that are enhanced by the wood fire process. Each pot that comes from the wood kiln is unique in its surface, color and flame pattern. 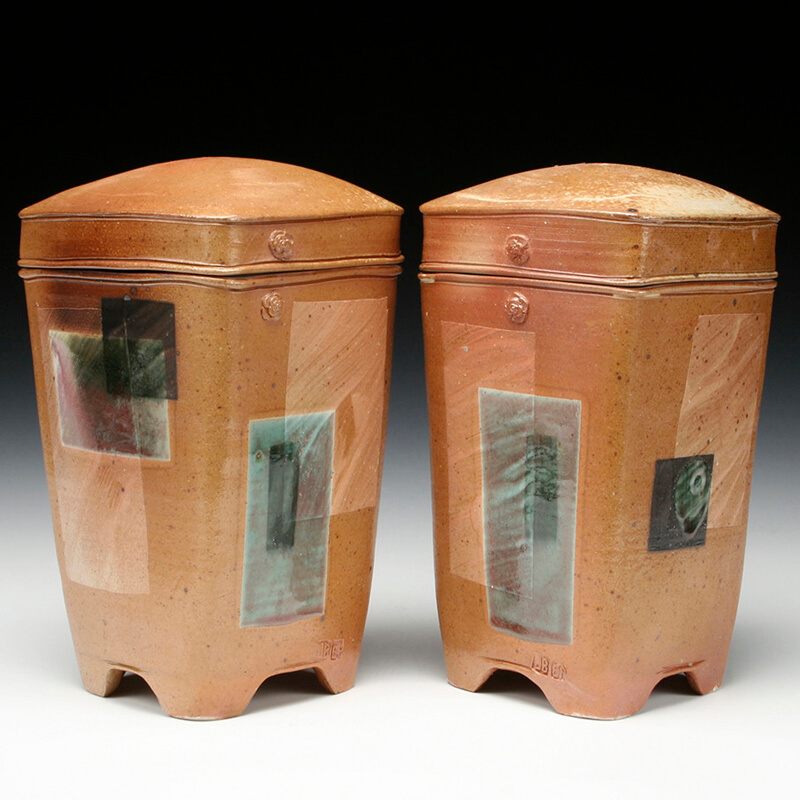 When completed, his pots are a fired chronology of his technical and aesthetic interaction with clay. Jim has exhibited, lectured, and taught workshops throughout the United States including Arrowmont Center for the Arts and Crafts TN. He has been a Resident Artist at Watershed Center for the Ceramic Arts ME and Red Lodge Center for the Ceramic Arts MT. His works are included in private and public collections including Carnegie Museum of Art, Anchorage Museum of Art and History, and the Museum of the North. My inspiration is nature, my vehicle is clay and my obsession is ceramic processes. Currently I am continuing a body of work in a vessel format using a combination of wheel-thrown and other forming techniques that are derivative of my past work. I choose the vessel because it is timeless and universal and represents social and spiritual associations. By carving the surface with images concerning cycles inherent in both people and the natural world, I lead the eye around the work inviting the viewer to gather narrative fragments to compile their own story. They are not meant as a literal way to illustrate, but are tangible equivalents of my thoughts, emotions and experiences in a format that people can associate with and respond to.